* 2. 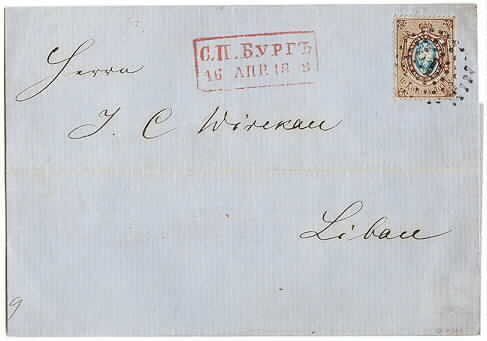 10 kopek 1858 - with numeral cancellation "1" (St. Petersburg) on cover cancelled "St.Petrb 16 Apr 1858" in red sent to Libau. * 19, 20 and 22. 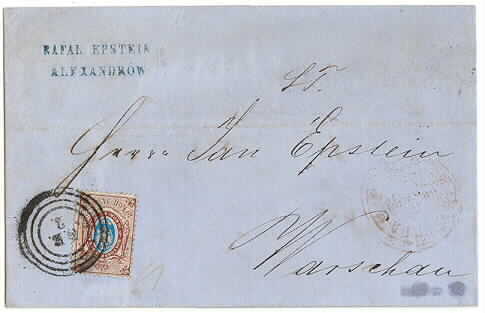 3, 5 and 20 kopek 1866 = 28 kopek - with numeral cancellation "1" (Warsaw) on entire cancelled "Warszawa 20.7" (1869) sent via Preussia to Bordeaux, France. * 19 and 21. 2 pcs. 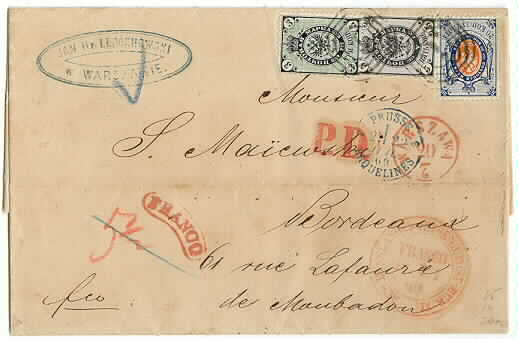 3 K and 10 K = 16 K - on cover sendt to London in 1873. * 21. 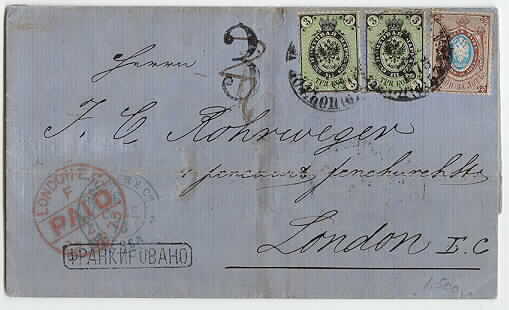 10 kopek 1866 - cancelled "D.B. 2" in rings on entire sent from Alexandrow to Warsaw. Arrival canncellation on back dated "7.12.69". The cover has minor faults. The stamp is a little dirty, maybe used twice. 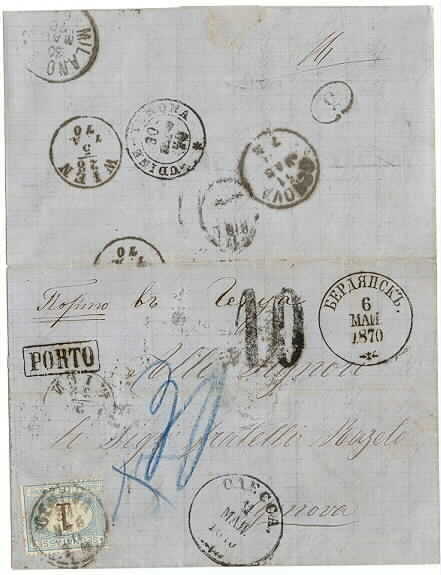 * Ufrankert helbrev stemplet "Berdyansk 6 MAI 1870" (Ukraina) sendt via Odessa, Wien, Verona og Milano til Genova. Her er det påsatt 1 lire portomerke stemplet "Genova 31 MAG 70". Fyldig stempeldokumentasjon på baksiden.